Afterall the BRIDE Must LOOK her BEST. 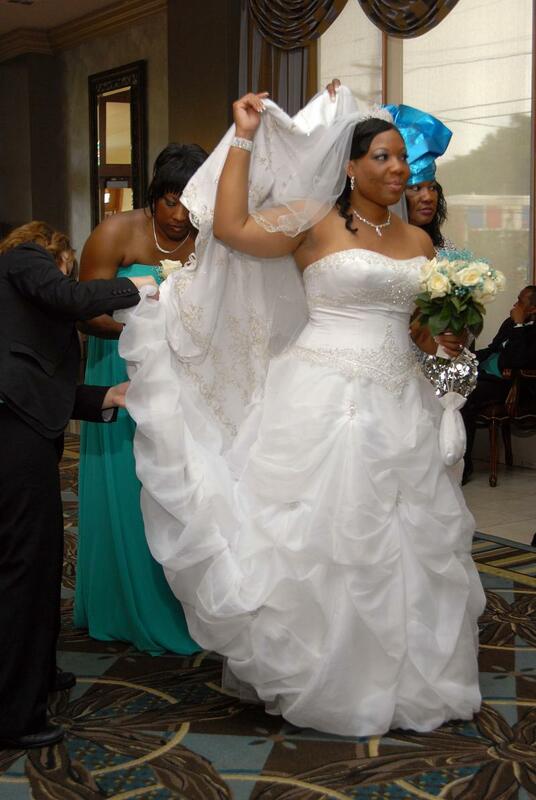 VaNiyah was truly a beautiful bride. And she cried all day, and looked good doing it too. Donald 'a.k.a.' Wayne stood his ground looking so happy, strong and thankful. The wedding party members, they all looked simply beautiful in their black & green, and the Flowergirl ... omg, she was oh so beautiful. It was truely a beautiful and wonderful event. "Our loving wishes for your health and happiness in your marriage"
"Kila la kheri na afya njema pamoja na amani na baraka tele katika ndoa yenu." Please go to VaNiyah's Day Page for additional images and information. In addition to my freelance photographic work I am also associated with Digital Imagery, a full service photographic company, located in Wilmington, DE. Click on the link below and it will take you to Thumbtack.com. There you can find out why Thumbtack.com recommends Uzuri Images/ Digital Imagery for all your imagery needs. Our new office is now located at 503 North Jackson St, Wilmington, DE 19805. We lost our lease to new ownership, however we are still comitted to provide you and/or your organization with the highest degree of service. Copyright 2009 Maurice Howard/ Freelance Photographer. All rights reserved.